I have to be honest with you, I'm a bit of an inbound marketing nerd. It's so much more honest than outbound marketing. Advertising, cold calls, email blasts… They all seem so disconnected. Inbound marketing, though. It's genuine. It's about creating something which appeals, educates and enlightens your target market. Earning their attention, rather than paying for it. Now of course I recognize that outbound marketing has its place. I've written way too many articles discussing the strength of Facebook advertising (and those articles are way too public) for me to get away with that for long. Nonetheless, if inbound marketing was facing off against outbound in a cage fight, I know which side I'd be rooting for. This article will discuss one of the critical components of inbound marketing: gated content. Gated content is any content which can only be accessed once a website visitor has provided lead information. It's one of the top lead generation strategies out there. It works by incentivizing lead generation. A previous brand touchpoint (predominantly blog) will have convinced your website traffic that you know what you're talking about. You know your stuff, so you're worth hearing from. You've also created something comprehensive and seriously valuable. It's one step beyond subscribing to your blog. And not because gated content leads are necessarily _more_ interested in your business than subscribers, but because they have provided you with valuable lead information which enables you to nurture them into a sale with onboarding strategies (email, remarketing, etc). Why Should I be Using Gated Content? Because it's one of the best ways to capture valuable lead information at the same time as you're generating leads. The great gated content debate can be boiled down to a single question: Are you interested in views or qualified leads? Or, more accurately… what's a lead worth to you? What's a view worth to you? As I said earlier, a gated piece of content is a highly valuable resource. If I were to give it away for free, many people would love it and share it with their friends. It might even go viral. If I were to gate it, fewer people would see it **but each one of them would have provided me with valuable lead information I can use to nurture them into a sale** (see the gated content funnel in Section 4 below). For me (and, likely, you) every qualified lead is worth several readers. Even if I quarter my total downloads by gating my content it's worth it. One of the best ways for your business to get to the first page of Google's search results is to create a kickass piece of content and then not gate it. 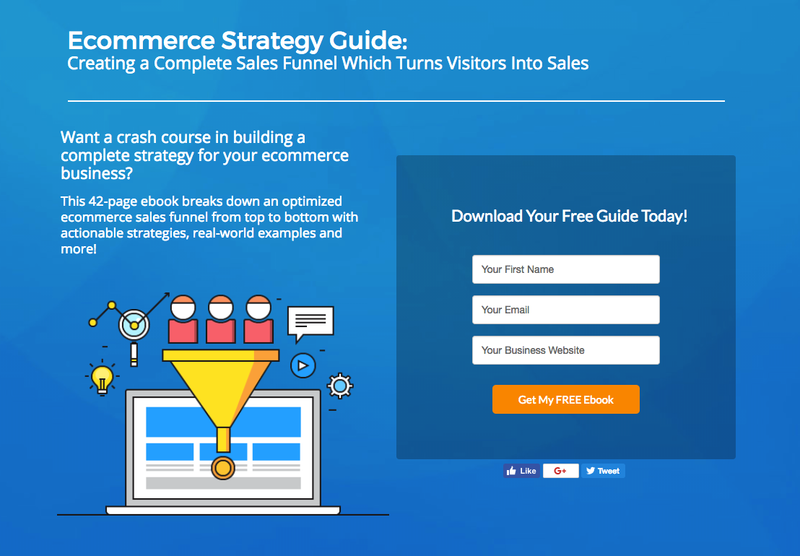 This is a strategy we utilized with (among others) my Complete Guide to Conversion Optimization - a 12-chapter, comprehensive guide to website optimization. In this case not gating the resource was worth it for us, given our attempt to rank on Google. 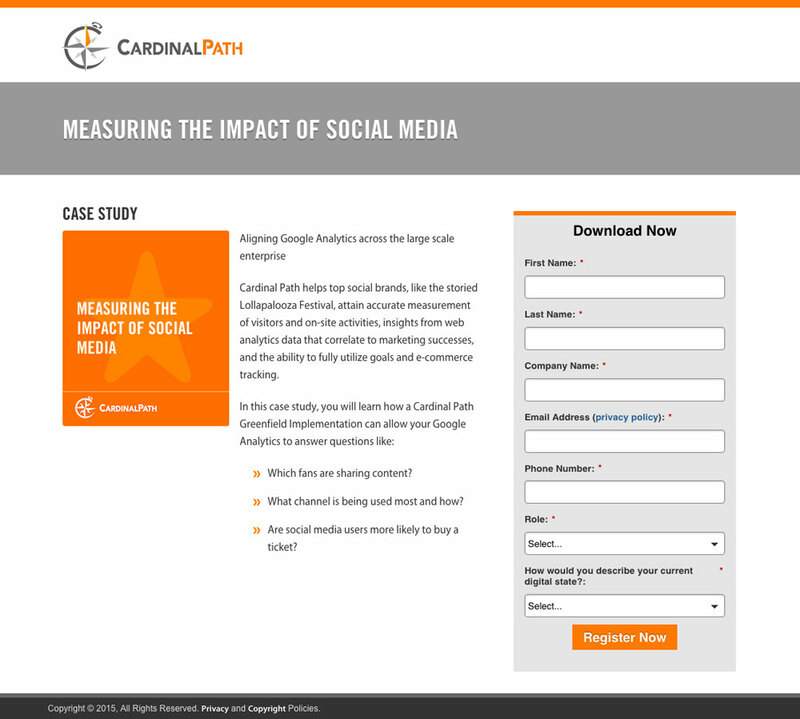 The examples above feature a webinar landing page, a content upgrade (gating access to bonus content from the Wishpond blog) and a case study (gating access to a brand-specific report from data analysis company Cardinal Path). My personal favorite is the content upgrade. These elements combine to create a gated content performing 85% better than subject-focused ebooks. 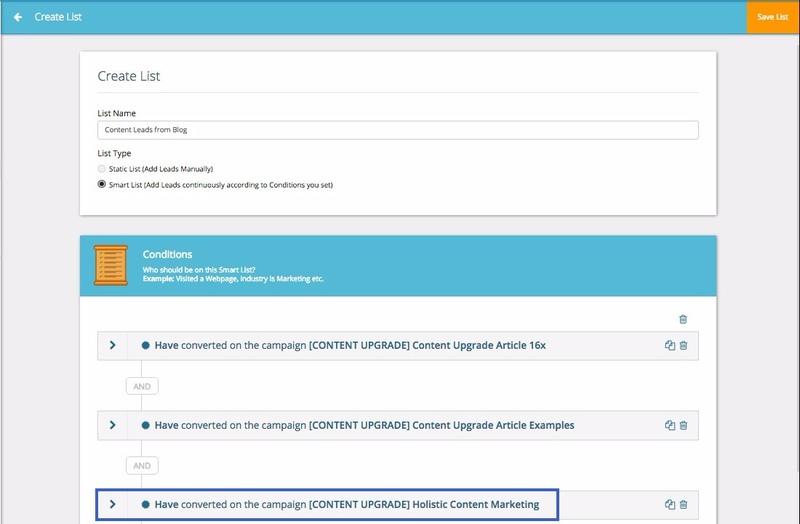 To learn more about content upgrades, check out "How we Used Content Upgrades to Increase Email Opt-ins 16X." For content upgrade examples and a downloadable how-to guide, I recommend "7 Content Upgrade Ideas and Examples that Helped Build 100k Subscriber Lists." To create a content upgrade... you have a few options. I recommend starting out with the simple PDF version of an article. A lot of people may want to read your content offline or at their leisure. A hardcopy gives them the ability, and is far and away the easiest content upgrade to create. Pick a topic: What topic are people are curious to learn more about, but is also related to your products? Create your presentation: live feed of your screen? Write a script. Find examples or case studies. Are you co-hosting? If so, what role are they playing. Will you have a Q&A? Create your slides: How much information? Images? Is the slide deck going to be available to download? Choose a date and time: What works best for your target audience? Promote it: Send to email list. Add exit popup on blog. Promote on social accounts. Run Google/Facebook/Instagram/YouTube ads if positive ROI. Set up automatic emails for before and after. 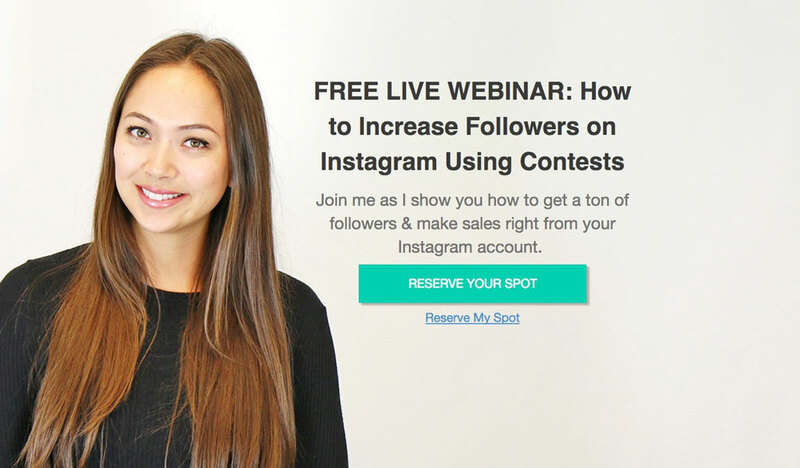 Set up a webinar landing page to collect leads. Set up tracking: Are you giving entrants a unique link? How will you track whether or not entrants actually viewed the webinar (and how much of it). Will you track entrants as they progress through your marketing and sales funnel? Are you sending webinar entrants and attendees a recording after the webinar is over? For more on webinars, check out "How to Create an Online Sales Funnel with Webinars." Read this article: The Ebook Design Kit for Marketers Who Can't Design for S#!t once you're done this one. This is the content marketing principle that you invest different amounts of resources into different types of content. All of the content created drives attention towards a piece of "pillar" content which is gated. 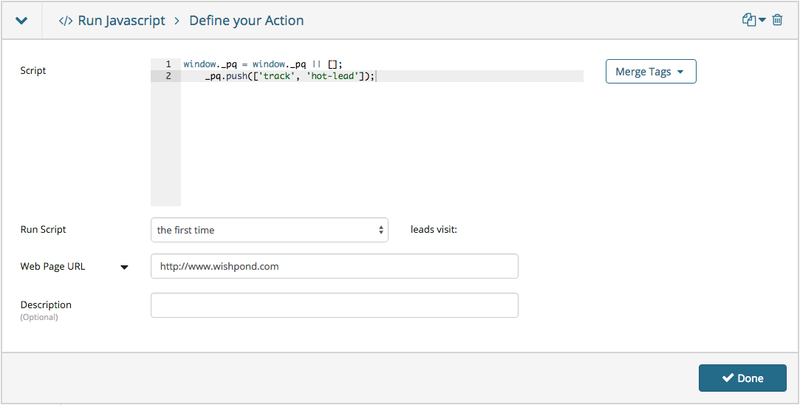 I write one blog article which might be shorter (perhaps on a Wishpond feature release. I'll invest more time, energy and resources on a standard article (something like "5 Ways our Clients Use Marketing Automation To Simplify Success"), even more on an article like this one, and (in different ways) more yet again on a case study, infographic, video or podcast. I can also create a content pillar first, and then use the content therein to construct smaller pieces of content after the fact (though that's not how I've ever done it). Because I'm such a huge fan of content upgrades, the Wishpond blog has moved away from this model in the past six months or so, but if you're just starting out it's a great way to think about your content strategy holistically. Another option is to create a click popup directly from an article or webpage. 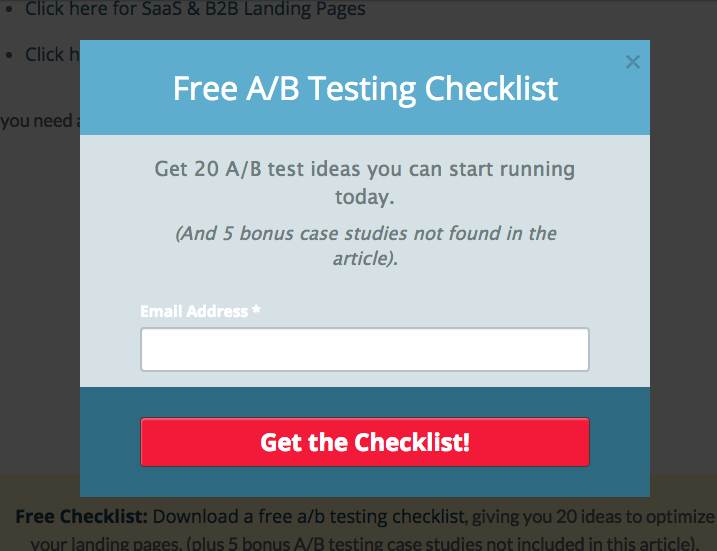 For more on click popups, check out "3 Lead Generating Click Popup Examples in Action. My first step after creating a new piece of gated content is to ensure that the leads I generate with it aren't just disappearing into the ether. 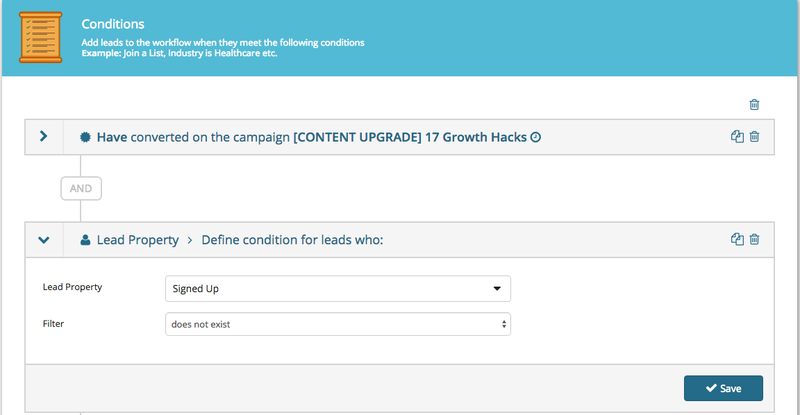 Step 4 of my gated content funnel is to turn my leads into paying customers. I do this in a couple of primary ways. One you're likely already doing and the other you should be soon. Email marketing is the number one strategy for communicating with leads and customers and developing a relationship, and that's because it works. That said, manually emailing the leads you generate from gated content doesn't scale (as in, breaks the damn thing). We create between four and six emails which deliver content directly related to the gated content which was converted on. Automated email messages average 70.5% higher open rates and 152% higher click-through rates than “business as usual” marketing messages (Source). This is because they're sent to leads and customers when they're most interested in the content. Automated and targeted emails generate 1800% more revenue than batch-and-blast email sends (Source). For more on nurturing segmented leads into sales with content they're interested in, check out my articles "How to Create Email Drip Campaigns to Nurture Leads" or "B2B Email Drip Campaign Ideas and Examples." You want to take every advantage you can when it comes to turning a gated content lead into a sale, so here's one you might not have considered: remarketing existing leads. Let's say I ran a social media management startup and you had just downloaded one of my content pillar ebooks on Instagram marketing. This means I know you're interested in Instagram, allowing me to segment you into a List of "Instagram-interested Leads from Content,"
I can automate sending you 5 Instagram-focused emails (and I should), but I can also promote my company by exposing you to Instagram-focused ads, all around the internet. Step 1: Create the same set of conditions as I did for the email drip campaign above (downloading my gated content and not being an existing merchant). 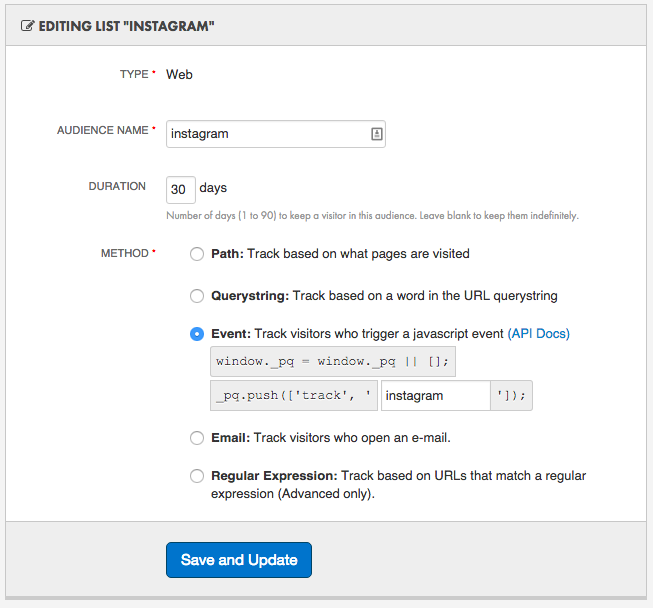 Step 4: Set up a remarketing audience of "Instagram leads" within my remarketing tool which will be populated by this workflow. To learn more about remarketing to leads, check out my article on marketing automation use-cases. Hopefully that's given you a better all-round idea of gated content. Remember that gating content should only be done once you've developed a bit of a reputation with non-gated content. Also, be sure to measure the return you get from your gated content leads vs the readership increase from non-gated (but awesome) content pillars. How we Used Content Upgrades to Increase Email Opt-ins 16X.